WOOSTER, Ohio – Tom and Wendy Wiandt’s mushroom farm in Burbank is about an hour’s drive from the Great Lakes Brewing Co. restaurant in Cleveland. 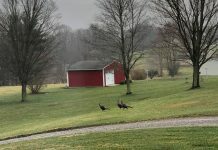 Vanessa and William Mills’ organic poultry and beef farm in Mt. Gilead is 30 miles away from Middle Ground Cafe in Gambier. Growing trend. What do these four operations have in common? Food, of course. They are part of a growing trend in Ohio in which local farmers and chefs are coming together to offer hungry citizens a taste of what grows just 30, 60 or 90 minutes away from their favorite restaurant. Perfect place. The Buckeye State – with its 11 million residents, good road system, and numerous urban centers surrounded by farmland – may just have the right ingredients for this recipe. “There’s a growing appreciation and interest from the consumer for locally grown materials,” said Matt Kleinhenz, a researcher with the Ohio Agricultural Research and Development Center (OARDC) and a vegetable-crops specialist with Ohio State University Extension. Willing to pay more. It is, indeed. The 2004 Ohio Survey, conducted by Ohio State’s Department of Human and Community Resource Development, found that 59 percent of the nearly 2,000 respondents said they would be willing to pay at least 10 percent more for foods grown locally. Today, these people don’t have a whole lot of choices. 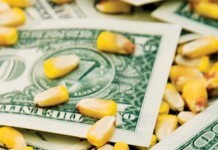 “The mainstream food production and distribution system, with its consolidation of food dollars into a shrinking number of corporations, typically offers what sells in largest volume,” Kleihenz explained. Good for business. Another reason farmers and chefs are reaching out to each other, Kleinhenz said, is the fact that this relationship can make good business sense. “First of all, it’s an entrepreneurial opportunity,” Kleinhenz pointed out. “Farmers recognize there is a new market, and that it can be very rewarding to work directly with chefs. Fresher food. “That’s when chefs say, ‘We don’t need material that has been shipped for three to four days. 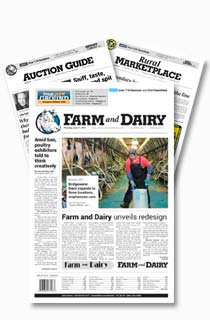 We can offer something different, fresher.’ If they turn to local growers, they have other options,” Kleinhenz explained. Besides, with increasing energy costs, relying on “fresh” vegetables from Arizona or beyond may not make economic sense in the future. Pete Dressen agrees. The chef of The Walden Clubhouse in Aurora, Dressen buys as much dairy and vegetables as he can from northeast Ohio farms. He goes to farmer’s markets and contacts growers, who then make arrangement to bring him the products he wants once or twice a week. Makes sense. “For me, it makes perfect sense to use local foods,” Dressen said. “Fifty years ago, we only used products from our area. Now we get them from 3,000 miles away, yet we live in the heartland. That, for me, it’s what makes no sense. As much as Dressen prefers homegrown products, only about 20 percent of the food he serves is from his neck of the woods. “I’d like it be 100 percent,” he said. But he admitted is hard to procure a larger supply of local products without an organized network of producers and restaurants working hand in hand. In addition, he said local farmers don’t always grow or produce the things he’s looking for. Making it work. Tackling these and other challenges that may hinder effective chef-grower relationships in Ohio – such as distribution, reliability, supply volume, marketing and diversification – is one of the goals of the OSU Local/Regional Food Systems Network, a group of OARDC researchers and OSU Extension educators and specialists from throughout the state. The network’s aim is to strengthen connections so that more local foods become available in Ohio, whether at the grocery store or at restaurants. 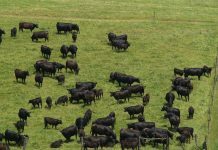 Organizations such as Innovative Farmers of Ohio (IFO) and the Ohio Ecological Food and Farm Association (OEFFA) are also involved in this initiative. More research. Ohio State is also helping the local foods effort by conducting research aimed at addressing issues crucial to this section of agriculture. OARDC scientists are looking at what crops are best to grow, which varieties to choose, what inputs are needed for optimum production, what new crops can be introduced, and more. One key aspect, Kleinhenz said, is how to increase the growing season, which can be a limitation for Ohio growers wanting to supply to restaurants. One challenge. Diversifying Ohio’s agricultural production is another challenge, as many chefs, like Dressen, are looking for much more than corn, soybeans and wheat for their culinary creations. Tom and Wendy Wiandt’s Killbuck Valley Mushrooms is a good example of how nontraditional products can find their niche in Ohio. In only five years, the Wiandts have managed to make a living out of their organic operation, their former full-time jobs now a thing of the past. Their coveted oyster, shiitake and lion’s mane mushrooms go to retail outlets, farmer’s markets and restaurants. Plenty of positives. 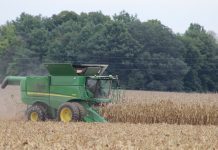 “One important thing about this trend is that it can benefit smaller farming operations, adding different dimensions to the face of Ohio agriculture,” Kleinhenz said. COLUMBUS – The Central Ohio Chef-Grower Network, a project run by Chefs Collaborative – a national organization that promotes sustainable cuisine – is gaining ground, with support from OSU Extension. Good resource. With 12 restaurants and some 30 farmers on board (from as far north as Sullivan and as far south as Athens), the Central Ohio Chef-Grower Network (http://buylocalohio.org/) has a system by which farmers can call, e-mail or fax in their weekly product availability list. This information is then sent to participating restaurants, which are responsible for contacting farmers, ordering and arranging delivery. The network also organizes “Meet and Greet” sessions for chefs and farmers to interact, visits by chefs to farmer’s markets, cooking classes in which chefs share the local palette, etc. An example. Vanessa and William Mills, who farm 70 acres just outside of Mount Gilead, are members of the Central Ohio network. Having a system such as this to sell their organic poultry and beef, Vanessa said, is a real plus for their operation, as they prefer not to market their products through the conventional market but to individuals, farmer’s markets, restaurants and through CSAs (community supported agriculture associations). The Mills have sold their chickens to network participant Middle Grounds Cafe, a popular meeting place for Kenyon College students in Gambier.